The Diggers Rest Primary School, Number 2479, officially commenced on the 19th June 1882. With the further development of the township in the mid-1980’s, the school population quickly grew. The new school site in Plumpton Road opened in October 1990, catering for approximately 200 students. The ‘new’ building was established as a modern facility promoting a broad curriculum, attractive spaces and extensive grounds. The school was relocated in the heart of community facilities and is now central to the growth areas surrounding wider Diggers Rest. Diggers Rest Primary School is the only school located within the community of Diggers Rest and as such, prides itself on strong community connections. In recent years the school has spent time capturing the ‘spirit’ of Diggers Rest and now prides itself on empowering all students to excel through a culture of high expectations, purposeful relationships, challenge and support. The school has built upon the original buildings established in the 1980s and is now an exciting and dynamic facility committed to the development of all learners. 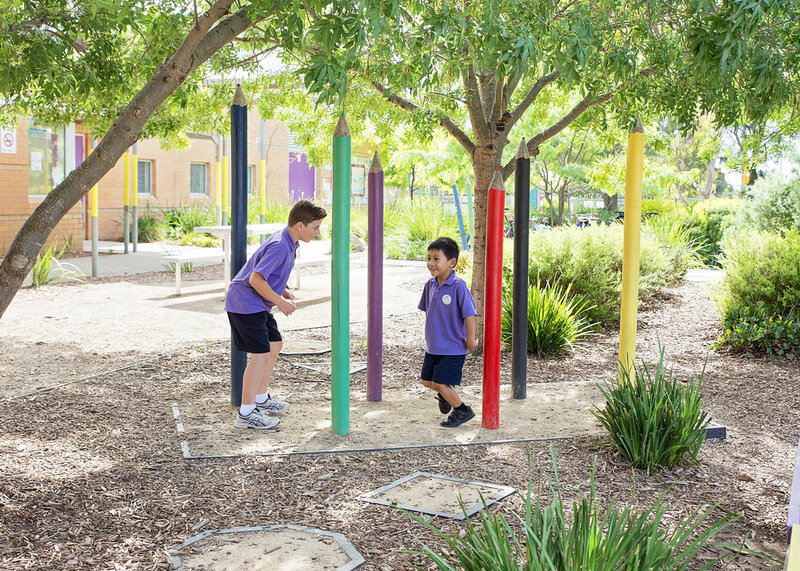 Diggers Rest Primary School retains a focus on our community traditions whilst also ensuring a student centred approach, where best practice is applied within meaningful contexts. - prides itself on strong community connections."